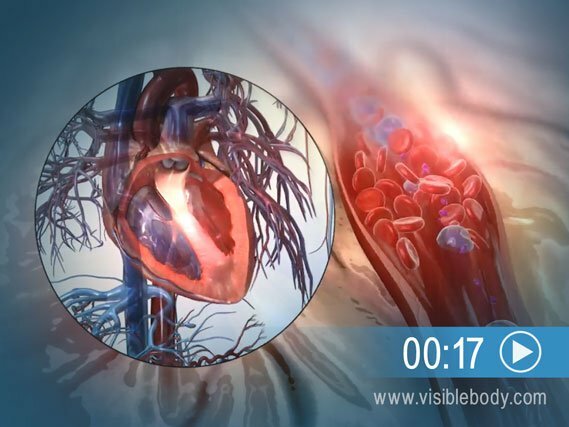 Blood flowing through the circulatory system transports nutrients, oxygen, and water to cells throughout the body. The journey might begin and end with the heart, but the blood vessels reach every vital spot along the way. These arteries, veins, and capillaries make for a vast network of pipes. If you were to lay out all the blood vessels of the body in a line, they would stretch for nearly 60,000 miles. That’s enough to circle the earth almost three times! Blood vessels flow blood throughout the body. Arteries transport blood away from the heart. Veins return blood back toward the heart. Capillaries surround body cells and tissues to deliver and absorb oxygen, nutrients, and other substances. The capillaries also connect the branches of arteries and to the branches of veins. 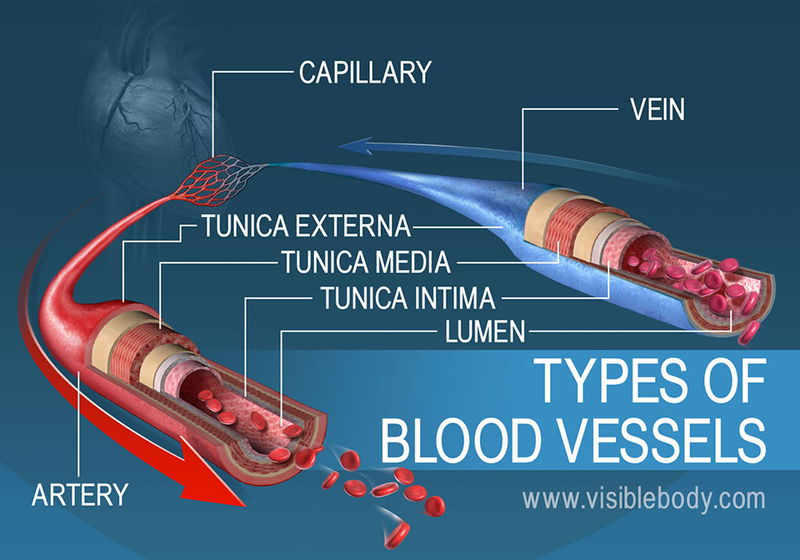 The walls of most blood vessels have three distinct layers: the tunica externa, the tunica media, and the tunica intima. These layers surround the lumen, the hollow interior through which blood flows. The left ventricle of the heart pumps oxygenated blood into the aorta. From there, blood passes through major arteries, which branch into muscular arteries and then microscopic arterioles. The arterioles branch into the capillary networks that supply tissues with oxygen and nutrients. 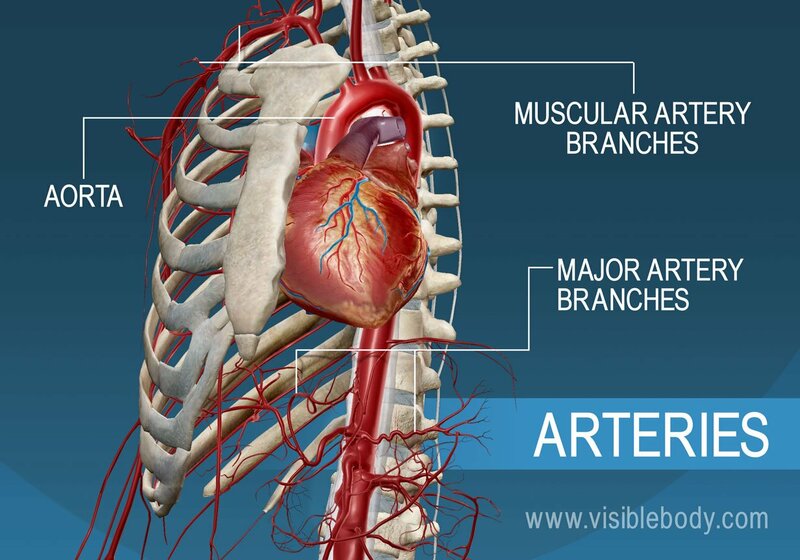 The walls of arteries are thicker than the walls of veins, with more smooth muscle and elastic tissue. This structure allows arteries to dilate as blood pumps through them. After the capillaries release oxygen and other substances from blood into body tissues, they feed the blood back toward the veins. 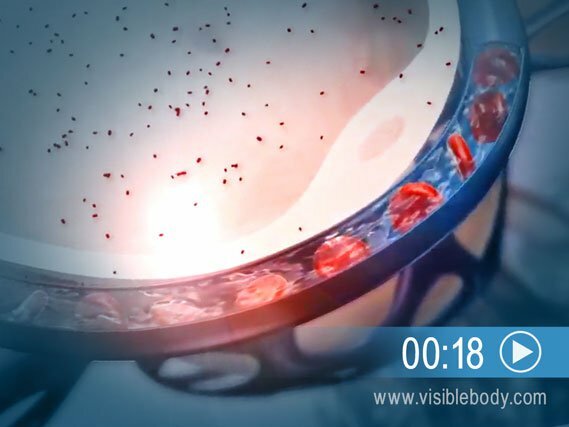 First the blood enters microscopic vein branches called venules. 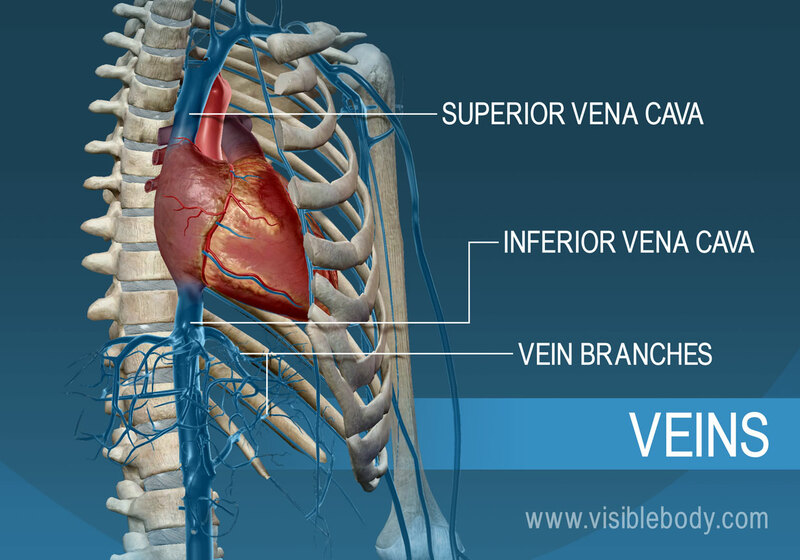 The venules conduct the blood into the veins, which transport it back to the heart through the venae cavae. Vein walls are thinner and less elastic than artery walls. The pressure pushing blood through them is not as great. In fact, there are valves within the lumen of veins to prevent the backflow of blood. Capillaries are tiny vessels that branch out from arterioles to form networks around body cells. In the lungs, capillaries absorb oxygen from inhaled air into the bloodstream and release carbon dioxide for exhalation. 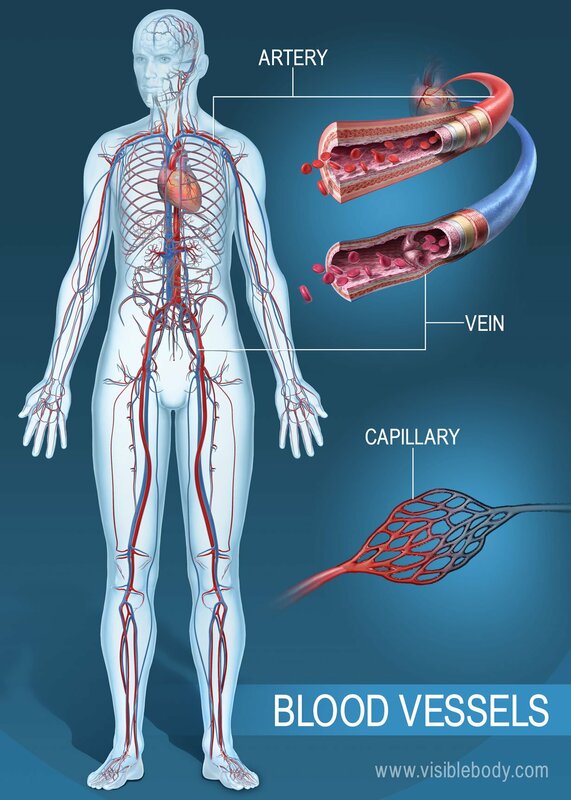 Elsewhere in the body, oxygen and other nutrients diffuse from blood in the capillaries to the tissues they supply. The capillaries absorb carbon dioxide and other waste products from the tissues and then flow the deoxygenated blood into the veins. The blood moving through the circulatory system puts pressure on the walls of the blood vessels. Blood pressure results from the blood flow force generated by the pumping heart and the resistance of the blood vessel walls. When the heart contracts, it pumps blood out through the arteries. The blood pushes against the vessel walls and flows faster under this high pressure. When the ventricles relax, the vessel walls push back against the decreased force. Blood flow slows down under this low pressure. Carrington College’s blog about blood pressure.